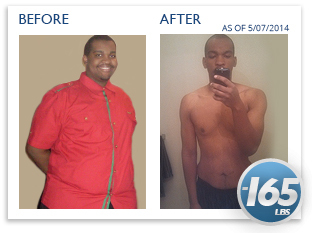 I had started to use YOR Health products in 2009, for my senior project in high school. At that time, I was vastly overweight and extremely out of shape. The first time I had stepped on the elliptical machine on a resistance of four, I could barely do 40 calories and felt like I was dying. I had starved my body of nutrients and proper exercise needed in order for my body to function properly. At that time I did lose weight using the products but, I had only used the products for my senior project in high school. About two years later, after having success with using the products, I stopped using the products and ballooned to nearly 400 pounds / 181.44 kg. I never truly knew how much I weighed because my weight just kept skyrocketing and I didn't need a number to confirm what I already knew, I needed to commit myself to a healthier lifestyle. The moment came on Thanksgiving in November of 2010, when I realized I needed to turn my life around. At that time, I was not going to school and had no job. However, my brother Andrew started me back on the YOR Health products. I had used the MRP, the complete burn, the probiotics, the super greens, and the repair to help get my body on track. I started going back to the gym and to lose weight just did the elliptical and stair master machines. I would occasionally do some weight lifting but at this time early in the process I began running to help get rid of the weight. Just by doing that I was able to lose 100 pounds / 45.36 kg but I was still about 270 pounds / 122.47 kg by the start of 2013. Then in 2013 I had used all the products in line and still mainly focused on cardio and was able to go as low as 195 pounds / 88.45 kg at some point. But I also wanted to lean up, so I could put on good weight and stay at around 205 pounds / 92.98 kg as of April 2014. 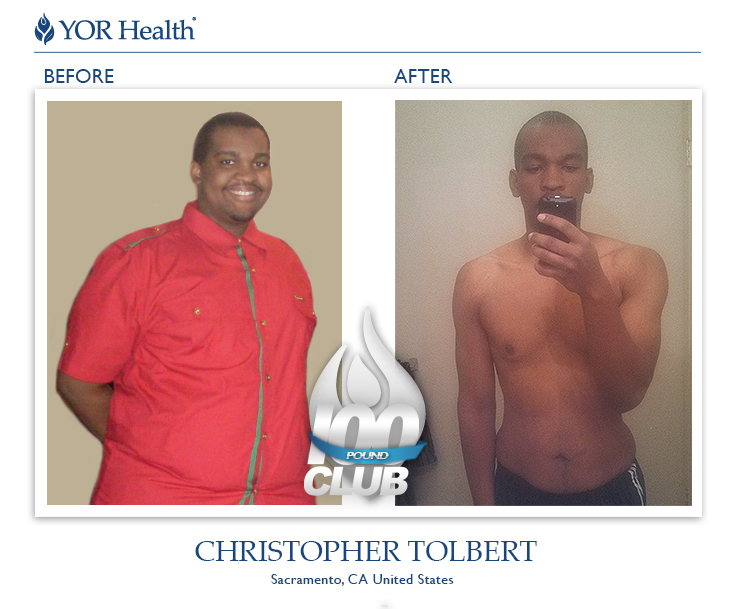 YOR Health has put my life on track and now I have more confidence than I ever had. I want people who have been or are overweight to know that it is possible to get your life back, although it may look like there is no hope. Just keep pushing and see those results and continue to share with others your story, and you will inspire yourself and others to live the healthy lifestyle that you have always wanted.